These movable pavilions can be used for numerous functions. They can serve as playground equipment for children, art objects, meditation rooms, arbours, small rest spaces, public furniture or sheltered seating. In a group of three cubes that recall typical Japanese spaces such as tea houses, they have an impressive impact in public spaces. One section of each cube has been cut off. The cubes are positioned at different angles with the cut surface placed on the ground. 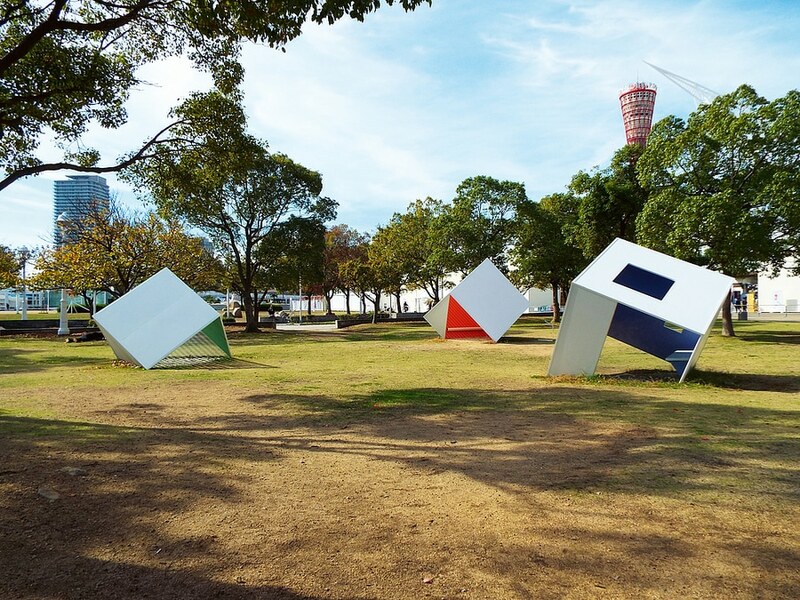 The ingenious design of these pavilions, presented as a group of three cubes, creates the impression of an accessible art installation in public spaces.